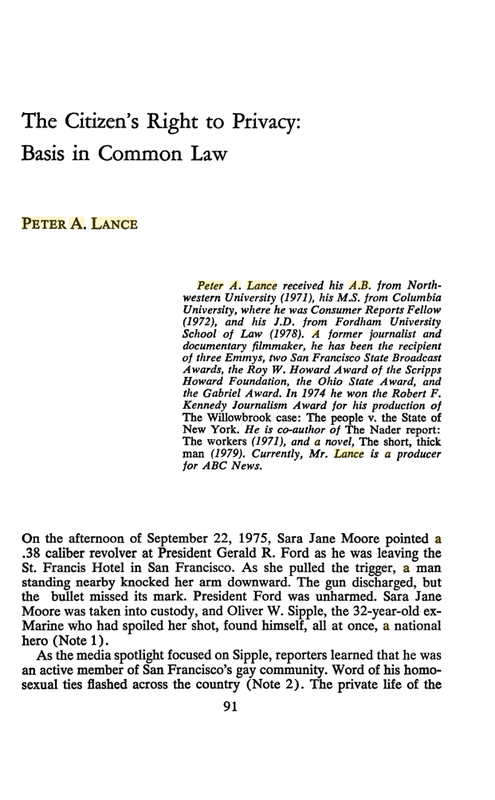 The 1980 volume, long out of print, was recently published by Google Books and 35 years later I was happily reminded that an entire body of media law was created around a single article in the Harvard Law Review published on December 15th, 1890. That was when the great Louis D. Brandeis teamed with his former law partner Samuel D. Warren to write a seminal piece that 90 years later had spawned more 300 cases citing that article for legal precedent. CLICK HERE to access my essay. The only fact that the Fordham editors got wrong was my undergraduate alma mater which was Northeastern University.